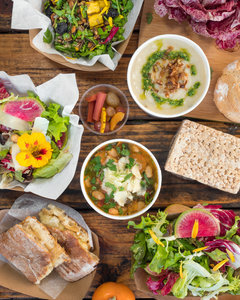 One of the main reasons to visit Portland is for our city’s incredible food scene. 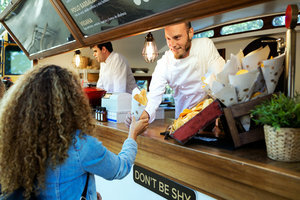 Often regarded as one of the best cities in the world for street food, Portland boasts an incredible array of food trucks, sit-down restaurants, breweries, and more. Explore our favorite places to eat in downtown Portland below, and book your stay at Mark Spencer Hotel today. Our hotel’s central location brings guests closer to some of the top places to eat in downtown Portland. Steps away from the Pearl District and the city’s West End, you’ll always be in walking distance to some of the city’s top restaurants, bars, and more. 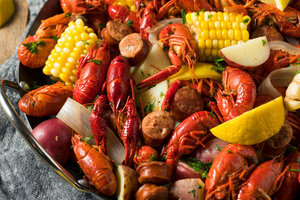 Jakes Famous Crawfish – landmark Portland restaurant that’s often regarded as one of the best seafood restaurants in the country. 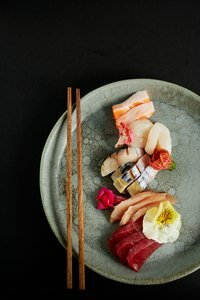 Bamboo Sushi – Hip spot for tasty rolls & other Japanese favorites. The Mark Spencer Hotel provides a room service menu for Bamboo Sushi, so you can enjoy a delicious meal right from the comfort of your own room! Cheryl’s On 12th – Charming spot featuring fresh, local ingredients with a local and international focus. We also offer a room service menu for Cheryl’s on 12th. Kenny & Zukes Delicatessen – Grab an incredible pastrami sandwich at this tasty local deli! Looking to enjoy a night out on the town? 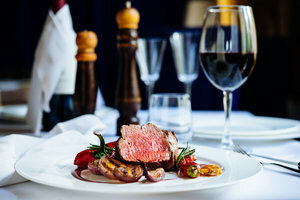 Check out some of these top rated restaurants in Downtown Portland, Oregon. Coquine – Explore French cooking with an Oregon twist at Coquine, with seasonal menus featuring fresh local ingredients. Don’t forget to grab one of their famous cookies on your way out! Mediterranean Exploration Company – Perfect for groups, guests can savor house-made bread and a range of delicious main courses. Tasty n Alder – Stop by for brunch or enjoy a "tasty" dinner menu of small plates and entrees made with fresh, locally sourced ingredients. Little Bird Bistro – This charming French bistro serves up rich main courses and incredible desserts. 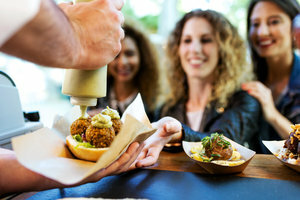 Food trucks are a staple of Portland’s dining scene. 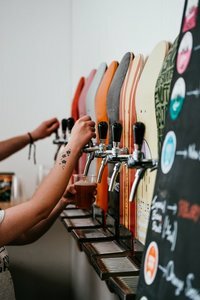 These affordable, unique food trucks are constantly ranked as some of the best places to eat in downtown Portland, Oregon. SW Alder: Just steps from the hotel, this pod features trucks like The Frying Scotsman, which serves British Fish & Chips, and The Whole Bowl focuses on veggie bowls and homemade sauces. SW Fifth Avenue: Enjoy a mix of international cuisine with a Korean taco at Korean Twist, or sample some Egyptian or Thai cuisine. Portland is well known for its craft beer scene and incredible wine. Make sure to check out some of these incredible local watering holes to grab a glass or two during your visit! 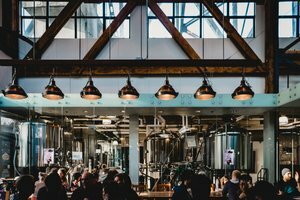 For more information on the city’s breweries, visit our things to do page! Book your stay at Mark Spencer Hotel today to enjoy easy access to some of the best places to drink and eat in downtown Portland!